Dismantling Desegregation explains the consequences of resegregation and offers direction for a more constructive route toward an equitable future. By citing case studies of ten school districts across the country, Orfield and Eaton uncover the demise of what many feel have been the only legally enforceable routes of access and opportunity for millions of school children in America. Gary Orfield, director of the Harvard Project on School Desegregation, is a professor of education and social policy at Harvard University. He has also served as a scholar in residence at the U.S. Civil Rights Commission. 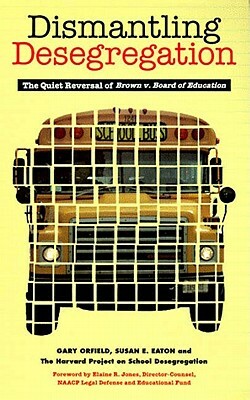 Susan E. Eaton, formerly assistant director of the Harvard Project on School Desegregation, has covered education for daily newspapers in Massachusetts and Connecticut.